Is William Tompkins the most important whistleblower ever? His story exposes Nazi UFO technology & ET interference. This has been going on since before WW2! 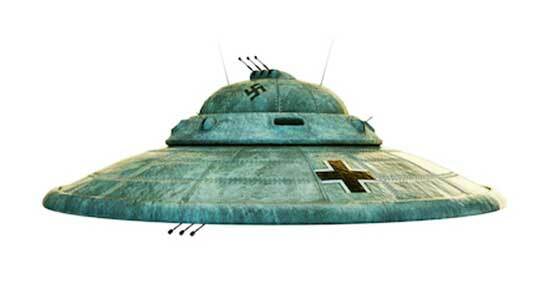 a Nazi UFO named "Haunebu". Furthermore, William Tompkins says he actually worked alongside ETs - Nordic alien women who looked indistinguishable from humans and who were working as his secretaries. Additionally, he reveals that the Nazis already had operational UFOs during the war, and because of the information that the US spies were able to obtain, the US later developed its own fleet of UFOs - which then got siphoned off into the black military sphere under the control of MJ 12 (aka MJ-12 or Majestic 12), the ultra secretive group that came into existence in the 1940s to "manage" the UFO/alien issue. To understand this tale and put it in historical context, we have to go all the way back to before World War 2 began. You may have heard of Secret Societies that were in existence around the time of the rise of Hitler and the Nazis, such as the Thule Society and the Vril Society. 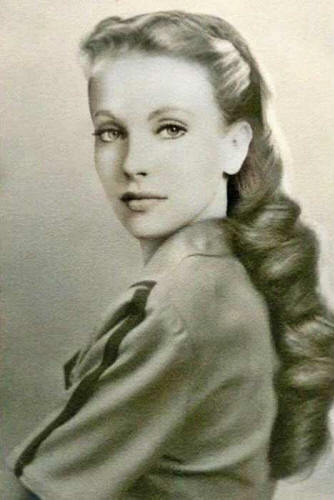 An extremely talented young woman, Maria Orsic, managed to make contact with alien civilizations and channel information from them. It is widely reported that one of these civilizations was from the planet Aldebaran, which is located is the Taurus system. Again, according to Tompkins, Hitler allowed Orsic (and the Nordics with whom she was working) to continue work on their UFO program, because the Nazis were already in contact with the Reptilians - and because Hitler knew he could always come in take over Orsic's project at any time. Robert Wood, who was interviewed alongside William Tompkins by Search4TruthReality (part 1, part 2 and part 3), claims that the Nazis' technology rapidly advanced due to their relationship with the Reptilians, such that they actually got to far side of the moon before end of WW2. Wood is a veteran expert in the UFO field himself, having been given the task early in his career (when he was working at Douglas) to analyze how UFOs worked. He was given $500,000 to disseminate UFO documents and $250,000 to make a UFO documentary. Later, Robert and his son Ryan scanned hundreds of MJ-12 documents and made them available on their website MajesticDocuments.com. Now, fast forward to 1942, where the tale begins for Tompkins. The world is exactly in the middle of World War 2. The 2 brutal dictators Hitler and Stalin are commanding armies engaged in long battles with high fatalities on both sides. Meanwhile, unbeknownst to almost the entire world population except for a few insiders, the Nazis are deep into a secret UFO project. Having obtained plans and schematics from a group of female channelers (one of whom was named Maria Orsic), the Nazis already have operational UFO craft, such as the Haunebu. 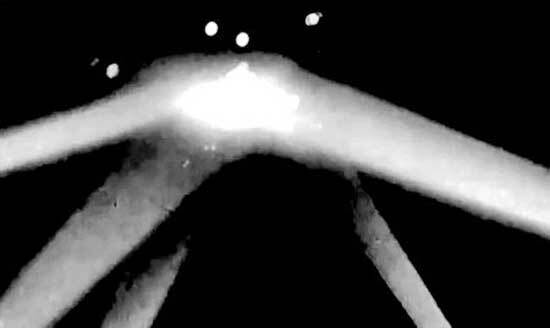 During all of this, almost on the other side of the world to Moscow, on February 24-25, 1942, UFOs fly over the LA sky for hours. Tompkins, who is still a boy in high school, watches the UFOs all night. The incident later becomes known as the infamous Battle of Los Angeles. According to William Tompkins himself, he was recruited at a young age by the Navy due to his precocious ability to build highly accurate model ships. After working at North American Aviation and Northrop, he was hired by Douglas Aircraft Company in 1950. There he worked as a draftsman under a group partly controlled by Navy personnel who used to work for James Forrestal, Secretary of the Navy from 1944-1947 and Secretary of Defense from 1947-1949, a man who also took JFK under his wing and who may have been responsible for JFK's later interest in UFOs. Forrestal was said to have jumped or fallen out of a high window and thus died in suspicious circumstances. It appears he knew too much and had to be eliminated because he went against the prevailing NWO agenda of secrecy regarding the alien issue. Apparently, Forrestal was an ET contactee. Forrestal chose Admiral Rico Botta, who in turn chose William Tompkins. 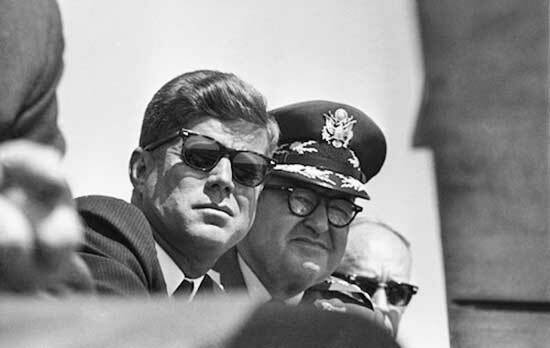 JFK, left, with Curtis LeMay, right. In interviews such as with Project Camelot (part 1 and part 2) and in his book Selected by Extraterrestrials, Tompkins reveals much of his story. He explains how the ultra secretive group MJ-12 began - not in 1947 after Roswell as many imagine. Tompkins states that right after Battle of LA in 1942, in order to handle the implications of UFOs openly showing themselves in the skies, that Douglas pulled some key men into a group (or think tank) which later became MJ-12. The group included 2 admirals and 2 generals, one of whom was Curtis LeMay - another man who disliked JFK and who, during the Cold War, was prepared to launch a preemptive nuclear strike against the Soviet Union. Robert Wood states that MJ-12 is mostly associated mostly with Air Force, not other branches of the US military. During WW2, US Navy operatives were embedded inside the Nazi military. They were able to get data (including pictures) of the Nazi UFOs and relay the information back to the US. Tompkins explains how the information went through his superior, Rico Botta, who chose an ingenious way to handle the subject: by not classifying it all. If he had given it top secret classification or another high classification, it may have attracted unwanted attention. So, he chose to not classify it at all! This is the technique known as hiding the truth in plain sight. Unfortunately, the packets didn't contain good schematics or drawings of the Nazi technology, but were rather like chicken scratch with very little technical information. According to Wood, the US Navy started back engineering UFO craft in 1942 (with permission from Forrestal) before MJ-12 came into existence. It took the Navy around a decade to produce functional UFO craft, but they did so eventually. Tompkins went on to join TRW, an important space think tank which was formed around 1958-59 according to him. It also came out of a Douglas think tank (just as MJ-12 had). It had unlimited funds. Northrup borrowed money and bought TRW. They also bought the US Navy's ship building company that builds aircraft carriers - so they could take their engineers to crawl all over 790ft aircraft carriers so they could design a 1km space craft carrier. 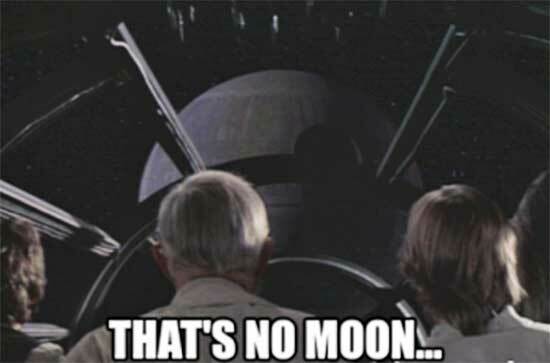 warns that the "moon" is a Death Star. In various interviews such as with Jeff Rense, Tompkins puts forth his theory that our moon is not a natural object but rather an artificial object and command center. This aligns with what other researchers such as David Icke have warned about. Our moon doesn't rotate, and neither do other moons of other planets. Conventional physics explains this is because of a tidal lock, but is it perhaps because these artificial objects are hiding something on their dark sides facing away from their host planet? 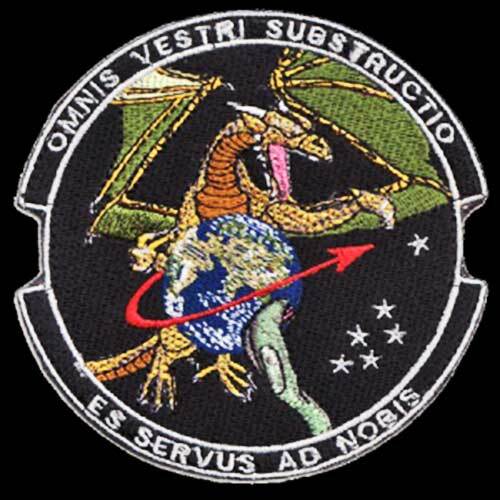 Tompkins states that when the first astronauts went to the moon, they were shocked to discover it was already occupied - by Draco Reptilians. He says the Reptilians, over 9 foot tall, were standing there next to their advanced craft. He jokes that the Reptilians "gave us the finger" (i.e. acted in an unfriendly manner). According to both Tompkins and Wood, the Reptilians had already made a deal with the Nazis. Amazingly, Tompkins himself claims he saw ancient structures on the far side of the moon and that he saw a floating building - 1.5 miles above the lunar surface! For Tompkins, the entire Apollo 11 mission was a show. All the astronauts were Freemasons. He states that Freemasons put the plaque on the moon first, then got back in the module to do the "Neil Armstrong" show. "One small step for Man, one giant leap for Masonry." Finally, Tompkins goes deep into the conspiracy by saying that ultimately we don't own our planet; it is a laboratory for advanced ETs to conduct experiments upon us. the reptile theme and a Latin motto. you're a slave to us." In his Project Camelot interview, Tompkins warns that if he talks about Reptilians and their darkest activities - which include eating humann energy and performing blood sacrifices - then some people will think it is so crazy that they will automatically shut down and discredit everything else he has said. that humans in general are not protecting themselves and are ignorant of the dangers of predatory ET species, and that therefore it is vital that those in the know go public with their knowledge and warn others - because not to do so equates to culpability. For what it's worth, Tompkins also offer his opinion that all recent US Presidents (including Obama) have been Reptilians who could change their form - but that Donald Trump is not one of them. Nordic mind control may explain why Tompkins and why now. Tompkins tells a story in his Project Camelot interview that he come up with alternate design for the Apollo missions, and was able to present it to the top dogs as NASA, Werner von Braun and Kurt Debus. He got a large model and had to drive it (in the back of a truck) onto a highly guarded military base. Somehow, he got through with no papers and no need to show security guards anything. They even had a dolly right nearby to load and carry the model! Tompkins believes the Nordics have been helping him all along by clearing the way for him to do certain things. He thinks he is being given the green light, while others like him are being threatened or having their families threatened. He thinks it is because of his association with Nordic ETs, specifically 2 women and 1 man who used to be his secretaries. As an aside, he did not know for a long time that he even had ETs working for him. He only found this out when one day one of them fell down the stairs and was taken to hospital in a grave condition. He overheard her admitting she was not who she said she was and answering to another boss or captain. "everything you're told is a lie". He claims that many of the systems and sciences we pursue, such as astronomy, medicine, etc., have been seeded with lies to trick us. Tompkins' tale reaffirms that the extraordinary story of humanity, and the depth of the worldwide conspiracy, cannot possibly be grasped without comprehending the reality of ET interference in our past and current ET influence and control over our affairs.